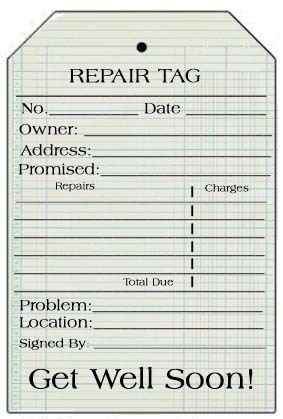 My husband brought home a repair tag from work .....from the new glass he had put in one side of our guinea pig cage. 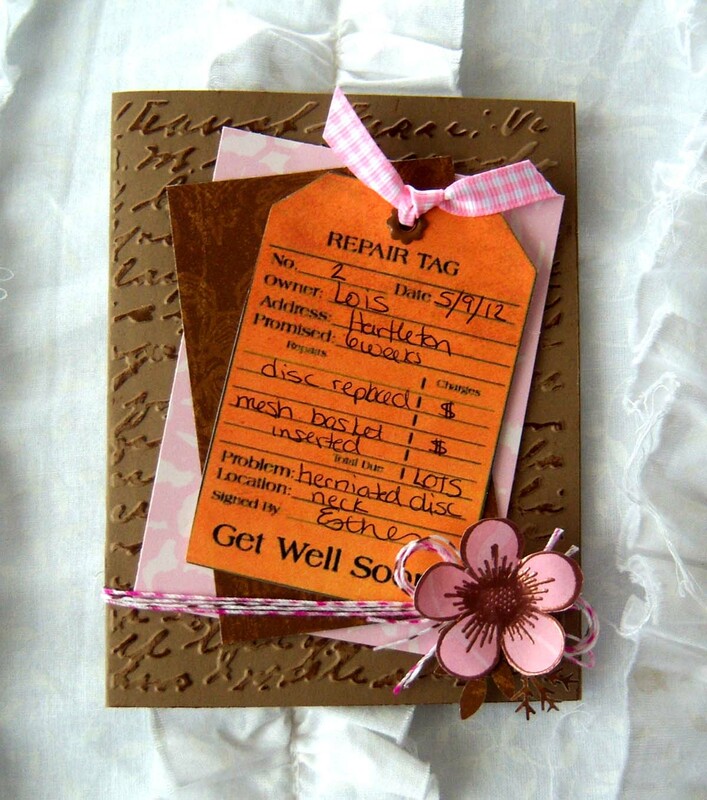 He left the tag on the bathroom counter with his receipt attached to it, and when I spotted it yesterday I had a "brilliant" thought ..."Wouldn't that make a cute Get Well card for my sister-in-law having surgery on her herniated disk?!" 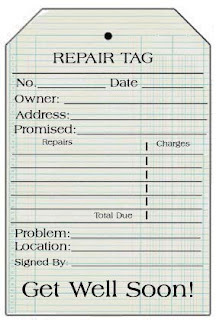 Well, I searched the web, but couldn't find any free "Repair Tag" clip art, so I decided to make my own based on the tag I had. I made my sister-in-law a humorous get well card with it, but I also think you could attach it to a "Get Well Gift" to give the recipient an extra laugh! 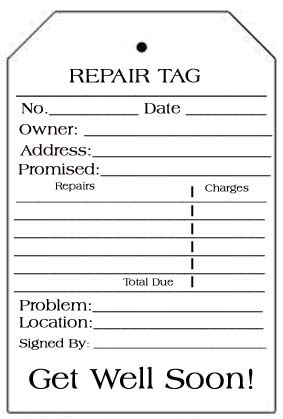 I'm including a FREE set of Repair Tags for you. 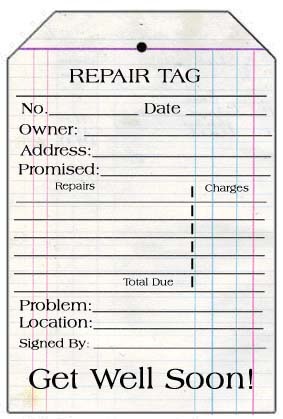 I'd love to see how you used them! Thank you for the blog visit! 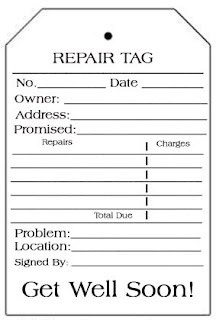 Thanks for the freebie tags!! Fabulous!! Such a fabulous idea! Love the card you've made with yours! 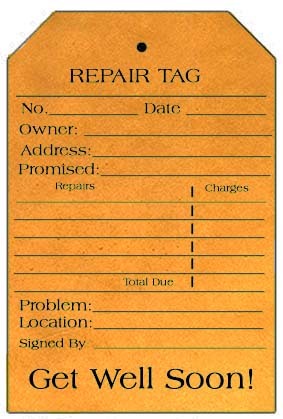 Thank you so much for the freebie tags! I.love.this! I think you got more than your share of creativity. :-) Can't wait to use these. Brilliant! 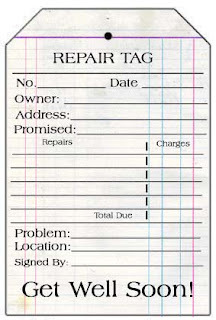 LOVE the repair tags for get well cards and your's is wonderful! This is adorable! 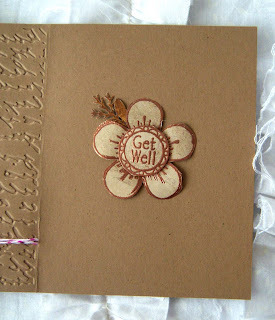 I know lots of people that would enjoy a get well card like this. Thanks so much for sharing the printables! These are so clever. Thanks for sharing! I love Mel!